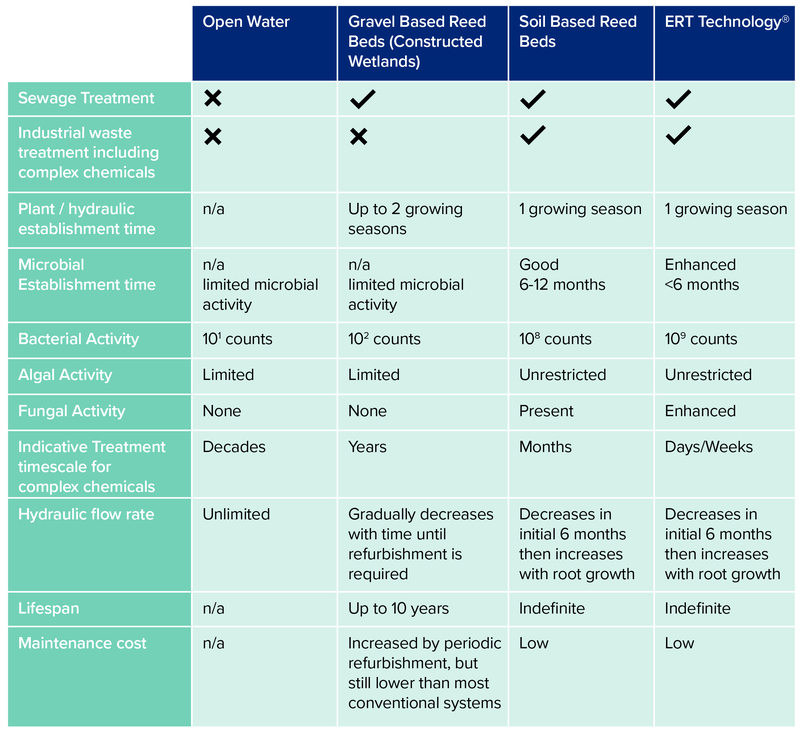 Enhanced Reed-Bed Treatment Technology (ERT) takes all the benefits of soil based reed beds, but further enhances their treatment capabilities by a unique series of processes designed to enhance microbial activity within the growing media. Benefits of ERT Technology® include a greater treatment capacity, greater diversity of contaminants which can be degraded and reduced establishment times. Soil based reed bed systems differ from gravel reed beds (often known as ‘constructed wetlands’) in that the use of soil gives a much greater capacity for treatment, particularly for industrial waste waters. The soil is naturally high in bacterial activity, meaning a wide range of contaminants can be broken down into harmless components. Soil reed beds require careful design and construction to ensure that the correct flow of water through the soil medium is achieved, but once established they are low maintenance and easy to operate. These living systems are naturally regenerative and running costs are low, especially when compared to other treatment technologies. Soil reed beds do not require periodic replacement of the growing media, as is often the case with gravel based systems. 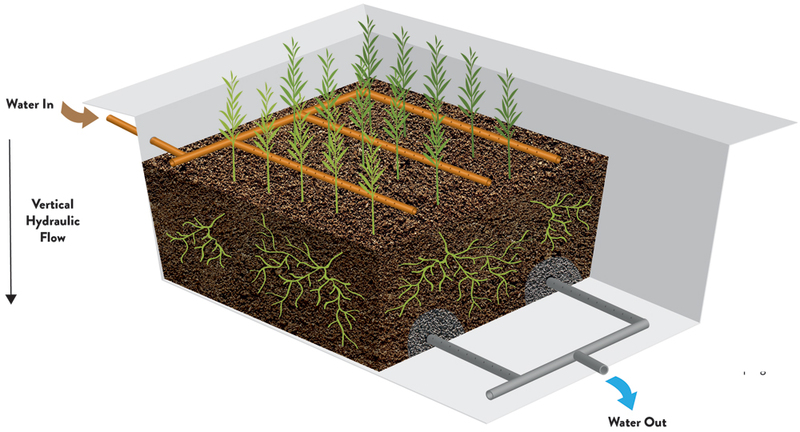 Properly designed, properly operated soil based reed bed systems are odourless and visually attractive. Therefore, reed beds can be incorporated into site landscaping designs to form an attractive yet functional feature.